It's National Life Insurance Awareness Month, a perfect time to tackle the complicated topic. According to the industry research group LIMRA, 95 million adult Americans have no life insurance whatsoever. “A majority of families either have no life insurance or not enough, leaving them one accident or terminal illness away from a financial catastrophe for their loved ones.” While that may be true, millions of Americans are sold insurance policies that are too expensive or worse, which they do not need. Life insurance is critical when your death would cause a financial hardship for your survivor(s) or when you need to create liquidity upon your death for estate purposes. How much coverage should you purchase? You need enough to cover living expenses for survivors; the lump sum amount necessary to fund future educational expenses; and/or money to provide for the future retirement needs of the surviving spouse. Years ago, instead of drilling down and figuring out exactly what you need, many simply used a rule of thumb -- eight to 10 times of annual income. But with the use of technology, it is simple to determine your specific needs with a calculator and the one provided by LifeHappens.org is an easy one to use. Once you know how much you need, the next decision is what type of life insurance is most appropriate for you. There are two basic types: term and permanent. Term is best for those who have a specific insurance need for a defined period of time, like a young couple with kids who have not yet saved a sufficient nest egg to support their survivors in the event of premature death. 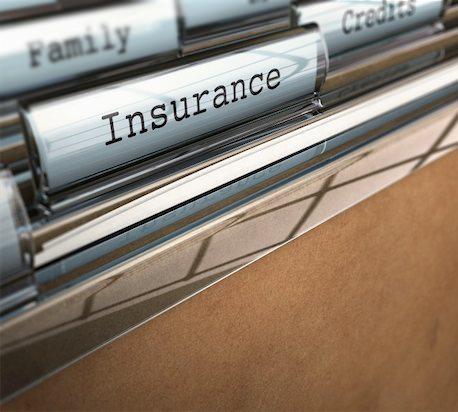 During the stated term of a term-life policy, if the insured dies, the insurance company pays the face amount of the policy to the named beneficiary. Premiums for term policies are often reasonable for those in good health up to about age 50. After 50, premiums start to get progressively more expensive. Conversely, permanent life insurance is a much more expensive option, because it combines the death benefit with a savings or investment component. Within the permanent universe, there are three types: traditional whole life, universal and variable universal. Whole life policy owners rely on insurance company dividends as the source of accumulation inside the policy. Universal and variable universal life holders invest by using sub-accounts, which are akin to mutual funds, inside the policy. Permanent life insurance earnings grow on a tax-deferred basis, but you don't have to die to get your money -- these policies allow you to borrow against your cash value. The downside is the hefty price tag. High fees and commissions can lop off as much as three percentage points from the annual return and up-front commissions are typically 100 percent of the first year's premium. After being sold permanent coverage, some consumers discover that few years into the contract, they can't afford the premiums. The Society of Actuaries found that 20 percent of whole-life policies are terminated in the first three years, and 39 percent within the first 10 years. Those who bail out within the first few years will likely lose everything they have put in, due to surrender fees that can apply during the first 7-10 years of the policy. Unfortunately, many of these people would have been better off if they had purchased term coverage. If you are weighing term versus permanent, you may want to consult a fee-only financial adviser, who does not sell insurance, but can evaluate your needs, determine the right type of coverage and refer you to a reputable life insurance agent. A cheaper option is to use the policy evaluation service offered by the Consumer Federation of America at www.evaluatelifeinsurance.org. It typically costs $100 for the first analysis and $70 for each additional one.